Explore two of the South Island's popular wine regions, the Waipara Valley and Central Otago. Beginning Christchurch you will take a day trip to the beautiful Waipara Valley, visit Pegasus Bay, Torlesse, Mud House and Waipara Springs wineries. From Christchurch, head inland to Mt. Cook National Park to stay the night in the luxury Hermitage Hotel. Carry on through the Lindis Pass towards Queenstown where you will be taken on a private boutique wine tour, including tastings at four vineyards in the Queenstown/Cromwell region. 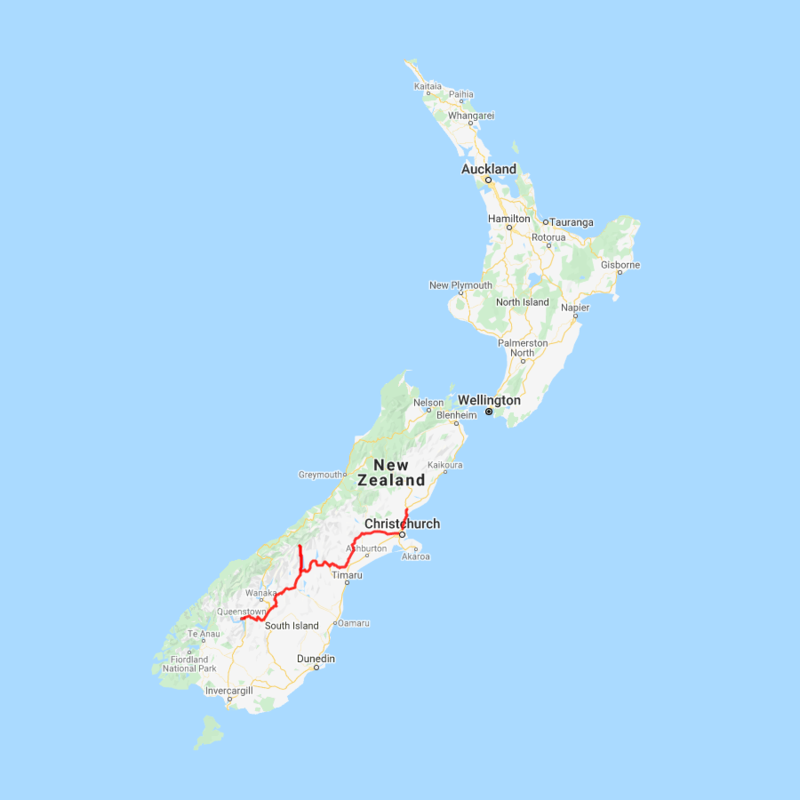 You can expect to spend around NZ$89 in fuel cost on this itinerary based on an intermediate sized car.